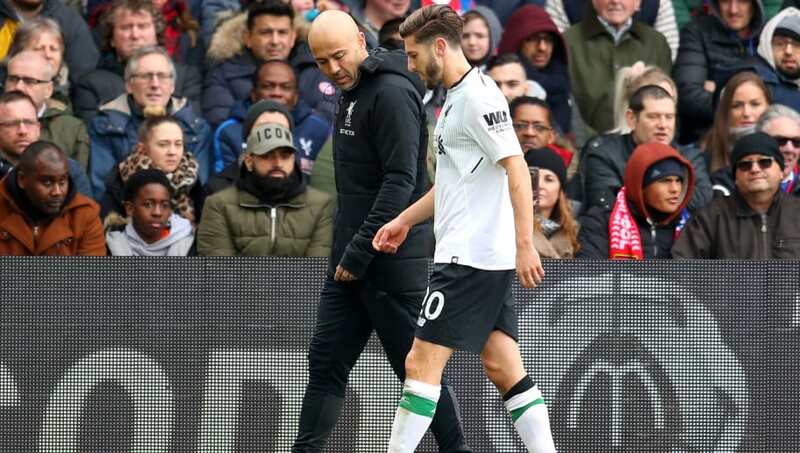 England manager Gareth Southgate wants to give injured Liverpool star Adam Lallana every chance to recover, with his final 23-man squad to be selected in a month's time. The former Southampton man is determined to make the summer tournament in Russia, and has flown to South Africa for extensive rehabilitation ​on the hamstring he injured against Crystal Palace earlier this month. He is not expected to feature for the Reds again in the Premier League this season, although the club may be set to contest the Champions League final on May 26 and could play some part - if they can get past comeback kings Roma first, of course. As reported by the ​Mirror, Southgate intends to make regular checks on the 29-year-old, and views him as a key component of his squad and would very much like to select him. Lallana is undoubtedly one of the Three Lions best technical players, but he has hardly featured in 2017/18 and will surely be lacking match fitness in comparison to his would be teammates if given a seat on the plane. He missed a lot of games earlier on in the club's campaign after struggling with a thigh injury sustained during the Audi Cup in pre-season. Should he fail to fully recover, then Southgate could turn to Newcastle United playmaker Jonjo Shelvey, who has been playing particularly well in recent months for the Magpies.